Starting at the Door is Open (DIO) around 1996, Ken is our longest serving staff member! 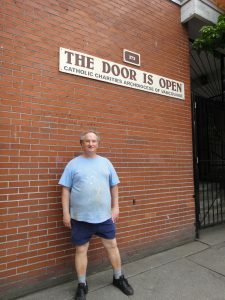 With the help of a large group of volunteers recruited through the BC Catholic, Brother Tim had cleaned up, renovated, and re-opened the drop-in centre a year or two before. 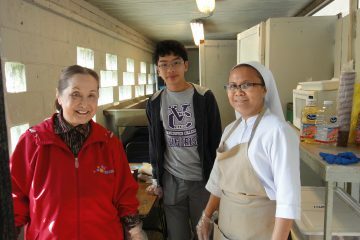 After the renovations were complete a couple of volunteers remained, and until Ken came to work with him, Brother Tim was never able to take a day off. At that time, the DIO opened in the afternoon and showed a movie and had coffee and tea available plus any donated pastries. Ken was the sole person responsible for opening and closing up each day, and he remembers coming to open up the front door one day and finding cash that had been pushed through the mail slot! Unfortunately, that only happened a few more times, and Ken never found out the source of those donations. 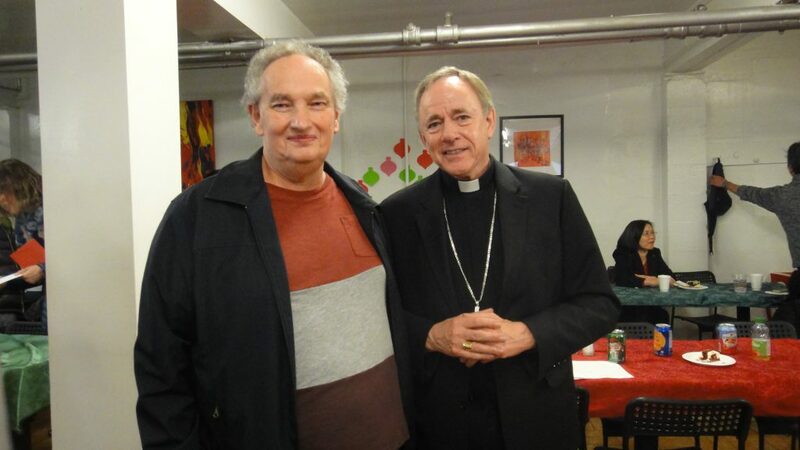 The drop-in centre was very busy, and after another year, Fr. Tim had to hire another person to join them. 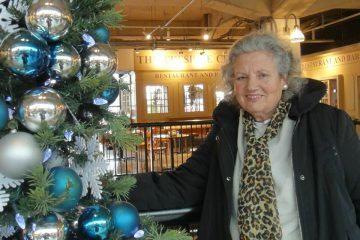 This was Julia Ruggier, who continued working there until her retirement in June 2015. Julia recalls how chaotic the DIO was at that time, with many guests dropping in but often conflicts arising between them. She was very grateful to discover that Ken had a gift for breaking up fights and calming down hot tempers. Together, they came to realize that most people just wanted to have someone ‘see’ them, listen to their stories, and share the space and time with them. As Mother Teresa so aptly noted, “There is more hunger for love and appreciation in this world than for bread”. 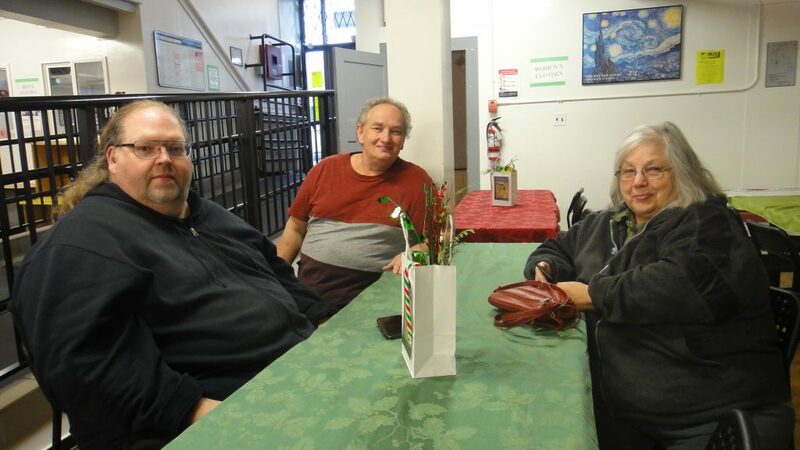 Within a year, Julia and Ken were able to transform the DIO into an oasis of peace in the DTES, and Julia attributes much of this to Ken’s quiet and firm but gentle, calm, and respectful manner as he interacted with the guests. 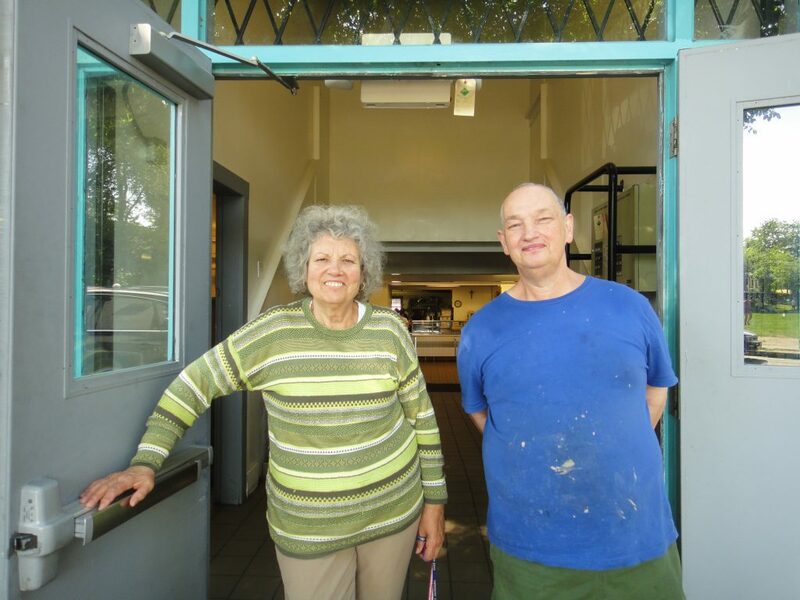 They worked together to add programs to the DIO, approaching the Food Bank for food donations, and leading to the daily lunch program that continues successfully to today. We are very blessed to have Ken at DIO!